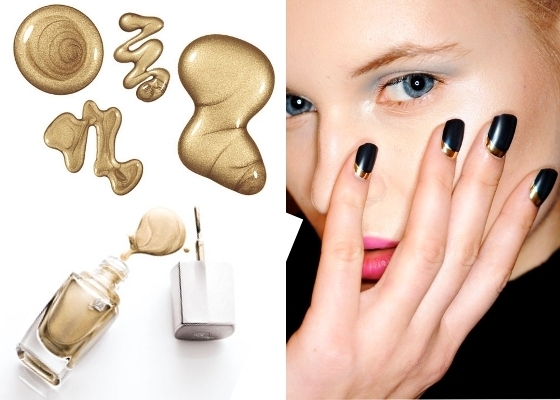 Fall 2010 Nail Polish Trends. Our manicure can tell a lot about our preferences for various fashion styles as classy or more edgy and also aoout our personality. Those who decide to embrace the Fall 2010 nail polish trends will have the chance to sport some of the most voguish shades combined and applied with mastery. Besdies choosing the right shade make sure it suits your skin color as well as the shape of your nails and then step to the next level and adapt your look to the latest trends. So that nail art develops, specialists have to come up with more versatile and sight-enchanting shades. These are often adopted also by great designers who would like to boost the beauty and the atmosphere of their stylish collection. The Fall 2010 nail polish trends are both wearable and spectacular in order to impress the public. Those who would like to expand their nail varnish collection and color palette will have the chance to take a glimpse at the latest shade tendencies that would launch a real craze both among style-conscious people as well as celebrities who are keen to flash their up-to-the-minute manicure on the red carpet and other special events. One of the leading tendencies of the season encourages the option of greige and also matte nail polish colors. Besides making a classy style statement, they flatter all skin tones as well as nail shapes and lengths. Whether you have extra-long acrylic nails or short and natural ones the key to success is to skim through the endless shades offered by the market. From the pastel and matte candy shades to the top greige shades that have something from beige as well as oh-so-stylish grey were also popularized on the runway. Feel free to find the tone that best suits your personality and preferences to sport a worth-admiring manicure both for clubbing as well as casual shopping sprees. Use the colors in combo with other shades if you wish, however you can also go for the block application which is extremely chic during the next season. What could help you more than a stylish metallic nail colorto attract immediate attention and stand in the spotlight for the whole season? Indeed, the gold, silver as well as copper shades will take you to the seventh heaven of nail art. Those who are rookies in this business might experiment with the all-in-all application of these nail shades. Others can also draw some inspiration from the latest and most revolutionary designs of applying various prints and patterns to the nails. Half-moon as well as reversed French manicures are some of the leading and A-list trends of the fall, therefore it is a must to include them among the manicure style alternatives. Metallic colors were always considered perfect for the ceremonial as well as more laid-back events as these would draw the attention to your perfectly polished shaped nails. 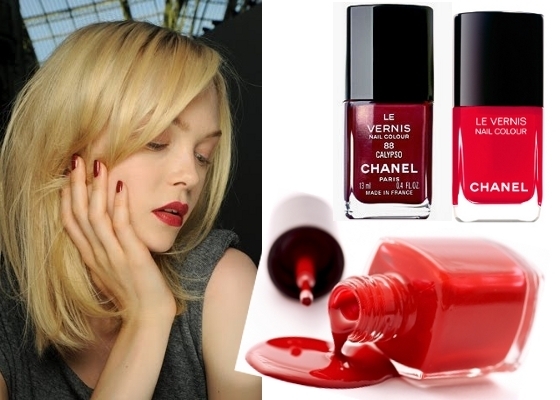 The endless shades of red are also some of the top notch nail colors of Fall/Winter 2010. These radiate class and a womanly allure which is extremely useful when you crave to play up your ladylike charm. From the blood red shades to the pastel tones as well as glittery formulas all can take you to the next level of fashion. These shades are perfectly compatible with the retro-inspired, burlesque and vintage looks that popped up on the catwalk this season. Depending on your style preferences make sure you have more shades of red in your nail polish box in order to wear them with confidence and make your manicure more versatile and sensual each time you plan a special formal event or head to the office. 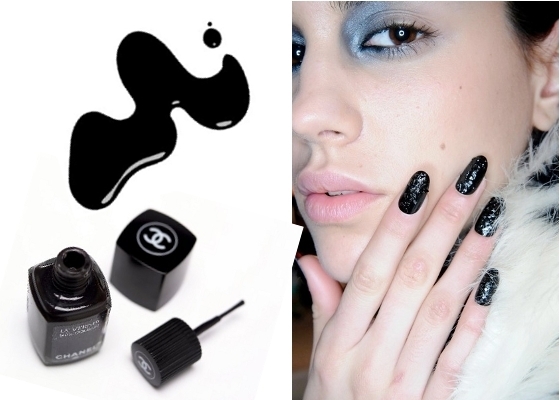 Indeed, black is the new black when it comes to the rainy season nail color trends. Those who were always fascinated by the vampy and dark looks will find it even easier and pleasant to adapt to the latest nail color trends. However, this time there's no need to stick to a simple design, instead live out your nail artist fantasies and enhance the beauty of your longer or short trimmed nails with additional glittery details or jewelry. Undoubtedly, polished and classy black are also the real deal this season still you have green way to challenge your skills and come up with brand new ideas.